Cascading falls, calm beaches, and fruit bats on the Indian Ocean. The cool seawater lapped against the jet black boulders like liquid turquoise. It was hard to believe I was in Mauritius, a remote independent island east of Madagascar. 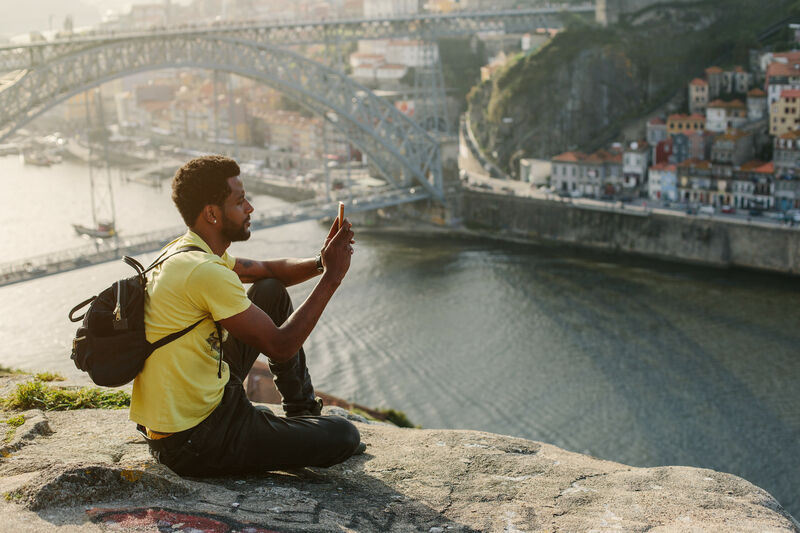 It’s been a favorite of Europeans and South Africans for decades, but few Americans make the 20-hour flight. As soon as you see the blue water and white sand, it all suddenly feels worthwhile. Renting a car is the best way to visit this beautiful country. You’ll have to be prepared to drive on the left side of the road, but that’s not really as difficult as it sounds. You can get from the east coast to the west in an hour—nothing is really more than a two-hour drive—and in my opinion that should be the first thing you do. Get your car and head towards Flic-en-Flac. Flic-en-Flac is a great town to use as a base for exploring the southwest part of the island. There’s a nice stretch of beach, and lots of restaurants and bars along the shore, including several food stalls that serve fast, inexpensive food, such as Roti aka Vinoda, with its delicious octopus roti and a local almond milk drink that I’m still craving. Mauritius has very few types of lodging: guesthouse-style hotels and luxury resorts, mostly. There’s not a lot of choices in between. The resorts have hammocks and manicured beaches, but can average $500 to $700 per night. Guesthouses—Flic-en-Flac has plenty of good options—have a more relaxed vibe, but you have to be aware of reception hours. Some close as early as 6 p.m. and won’t even answer the phone after that. I learned a hard lesson and ended up spending one night in my car. View fruit bats in Black River. 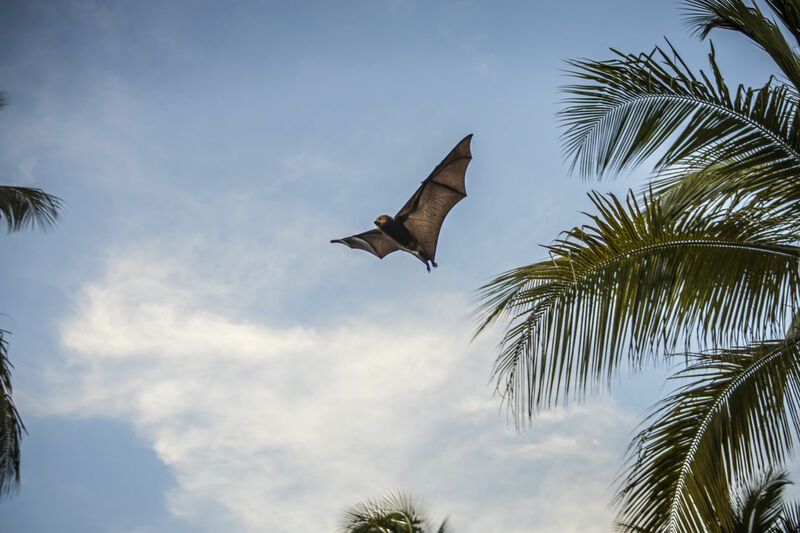 Just south of Flic-en-Flac is Black River, with a wonderful restaurant called The Bay, where you can view an Indian Ocean sunset and watch the giant fruit bats soar out of hiding for their nightly flight. The best view on the entire island is even further south at Le Chamarel Restaurant. The panoramic terrace on the hill gives you a 180-degree view of the Le Morne Brabant mountain. From Le Chamarel, you can also drive up the scenic mountain road to Chameral Falls. 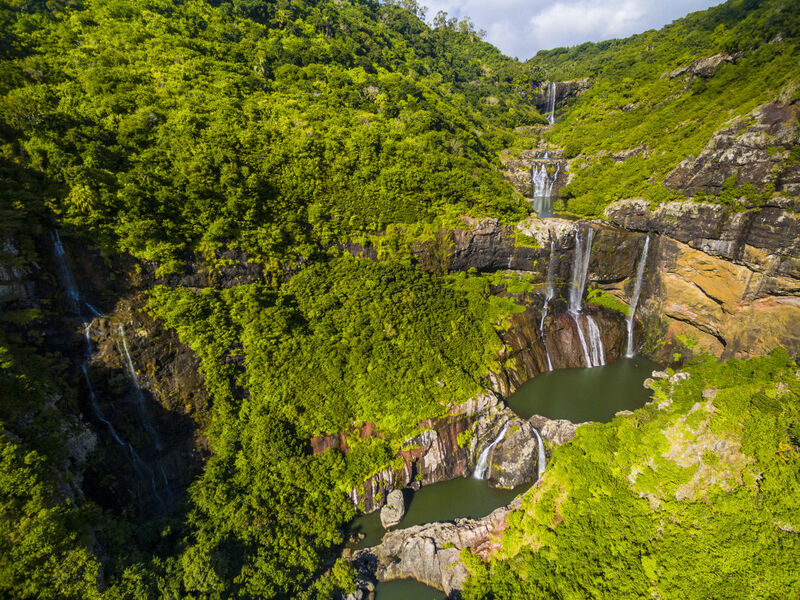 These twin falls aren’t the biggest you’ll ever see, but they’re very picturesque, and visiting nearby Seven Coloured Earth Geopark, a rare, hardened sand dune with a bar and a mini-botanical garden that's home to large tortoises, gives you two attractions right next to each other. If you really like waterfalls and hiking, you can’t do much better than a tour of Tamarind Falls. 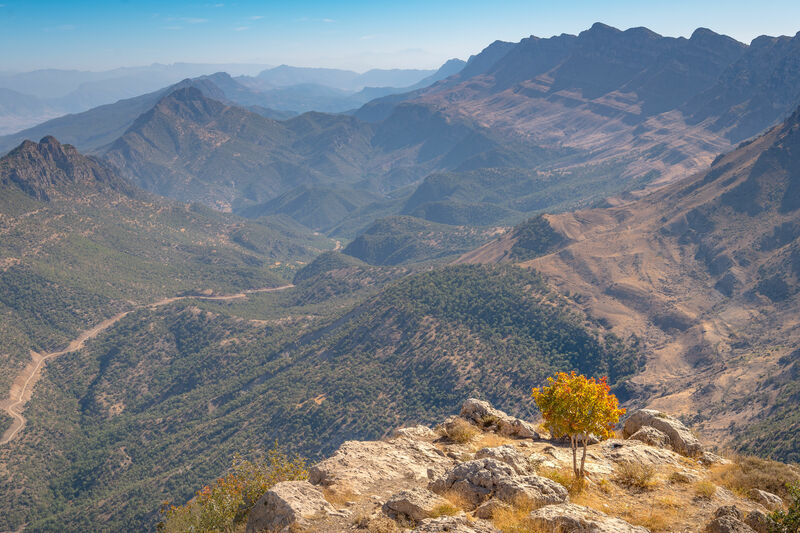 The hike takes about six hours, but the views of the seven cascades are some of the most beautiful in the country. In close proximity to all of these attractions is Black Rivers Gorge, a national park that you can drive or bike through with several scenic lookouts of waterfalls as well as the gorge itself. Keep a lookout for the timid long tailed macaques lurking in the forest. Head east out of the park to the “holy lake,” Grand Bassin, about 15 minutes away. 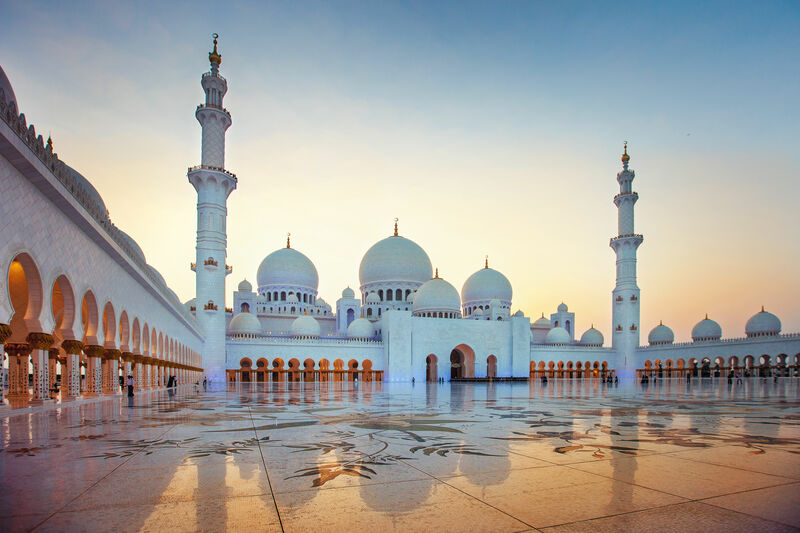 The entrance is flanked by two gargantuan Indian god statues you can’t miss. 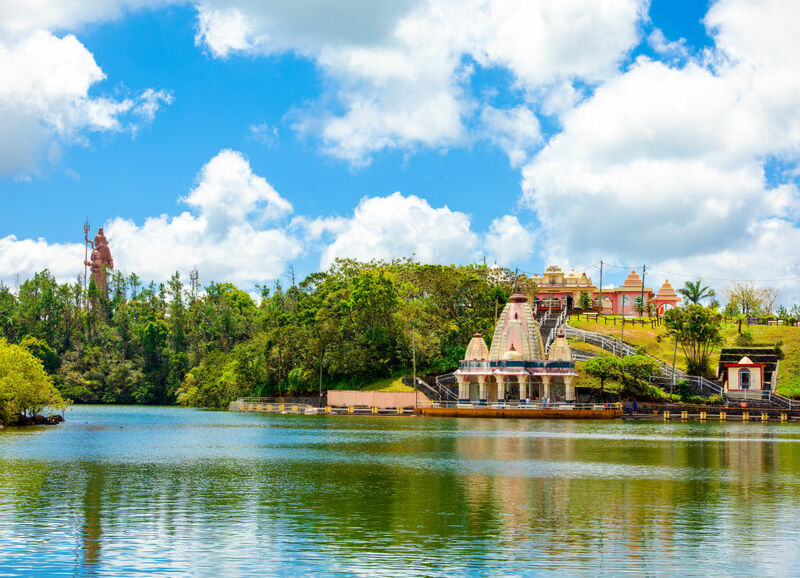 The lake is a picturesque Hindu mecca considered to be one of the most important holy sites outside of India, and also a beautiful spot to visit early in the day, when the weather is cool and crowds are smaller. Statues of Indian deities line the banks of this small body of water, where devotees offer sacrifices of coconuts and flowers, and monkeys can sometimes be spotted eating bananas intended for the gods. A pristine beach near Le Morne. 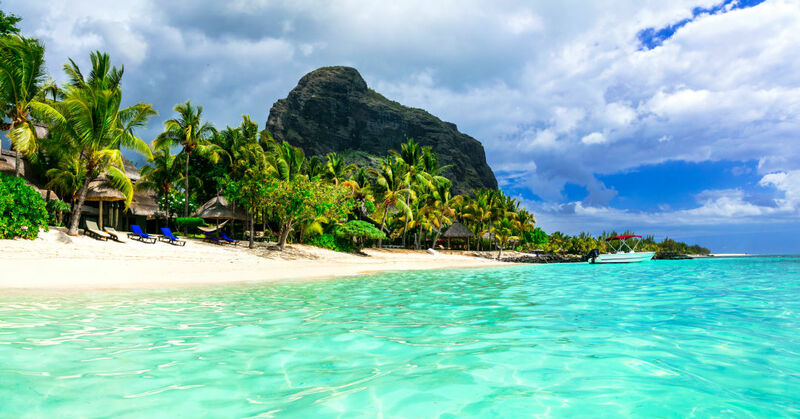 The most famous feature of Mauritius is the southwest Le Morne peninsula and its looming mountain Le Morne Brabant, a UNESCO World Heritage Site, that at one time sheltered escaped slaves. You can climb it, drive around it, or just admire the majestic beauty as a backdrop to your beach photos. This peninsula is where most of the high-dollar resorts are clustered. Surrounded by palm trees and well manicured public beaches, these hotels can cost upwards of $1,000 per night. If you’re not staying there, don’t expect to be welcomed at their bars or restaurants. We tried to order a cocktail from a beach bar at the Lux and were practically chased off the property when we admitted we weren’t booked at the hotel. For $300 per person, you can take a 15-minute helicopter ride to see the underwater waterfall illusion nearby. From the air, the colors of the water and sand make it appear that there is a giant waterfall below the surface of the water. North of Flic-en-Flac, you'll find Port Louis, the largest town on the island, but it looks like its name implies—a port. 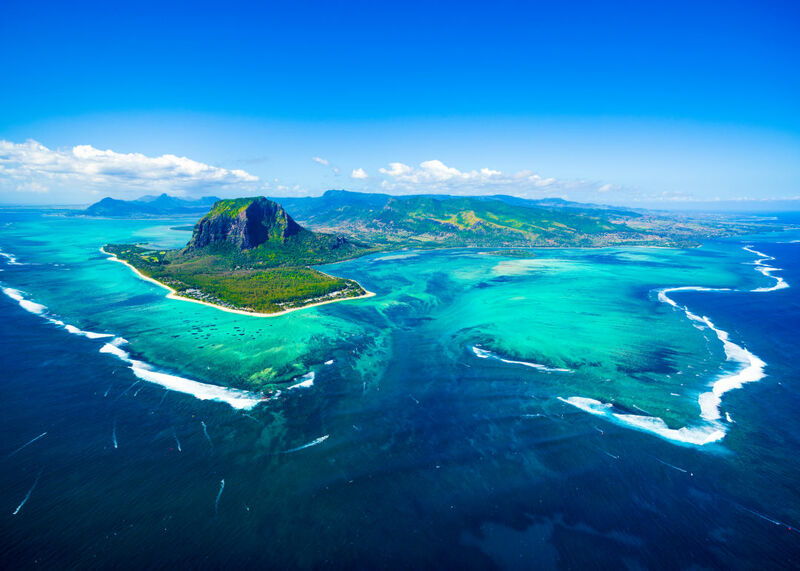 Many travelers stop in to visit its market and harbor, but you won’t find anything resembling the beaches you’ve seen on Mauritius travel posters. There's a nice promenade with shops and restaurants, a Dutch windmill reconstruction and an interesting postal museum. Grand Baie, further north, is one of the most beautiful spots on the island. This calm stretch of postcard-perfect beach is exactly what you'd expect from Mauritius. Colorful boats. 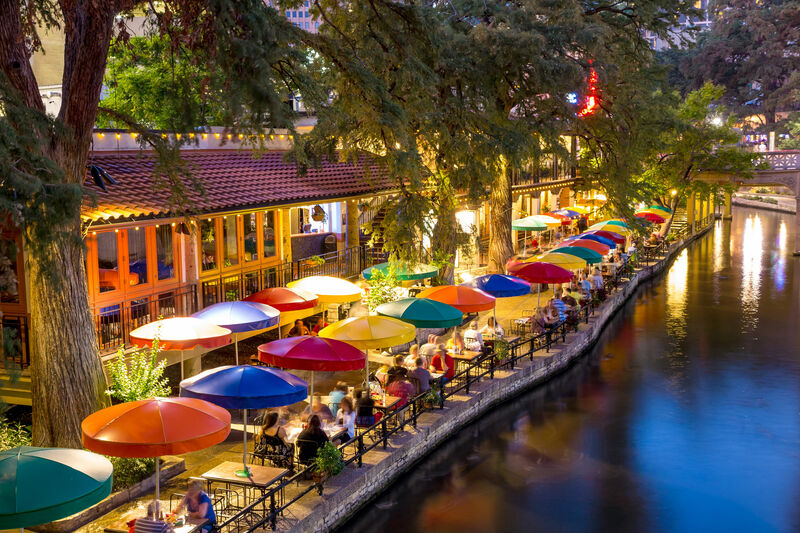 Cute little restaurants and bars. We found a very affordable Airbnb five minutes away. 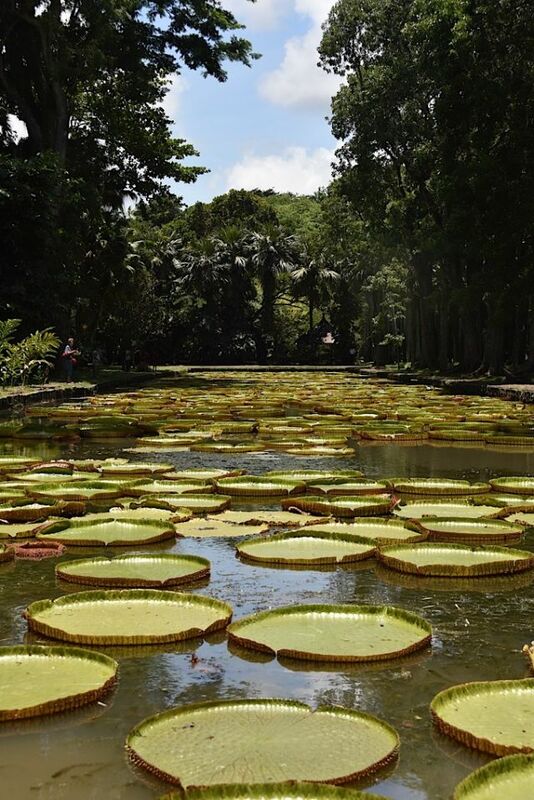 On the way to Grande Baie, make sure to stop at Pamplemousses Botanical Garden, also known by its hard-to-remember name Sir Seewoosagur Ramgoolam Botanical Gardens or SSR. These gardens date back almost 300 years and have a vast collection of endemic species and flora from around the world, including cinnamon and spice trees and numerous varieties of palms. The main draw? Giant lily pads that measure nearly three feet across. Hire a guide (around $20) to show you the highlights. The east coast’s big draw is the Ile aux Cerfs, a resort island reached by short ferry or catamaran ride from Blue Bay. Beaches can get crowded, but there are plenty of private spots if you want to beat the crowds. Mahebourg is the best town to stay in if you’re visiting the east coast or want to be near the airport for an early flight. One of my favorite excursions was the rum tasting about 30 minutes southwest of Mahebourg at the Saint Aubin 1819 rhum distillery, a former plantation, where you’ll get as many tastes of aged rum as you dare ask for. I was able to find a flight from Houston with a stopover in London for under $800. Combine the trip with stops in nearby Reunion and Madagascar if you want to extend your adventure.